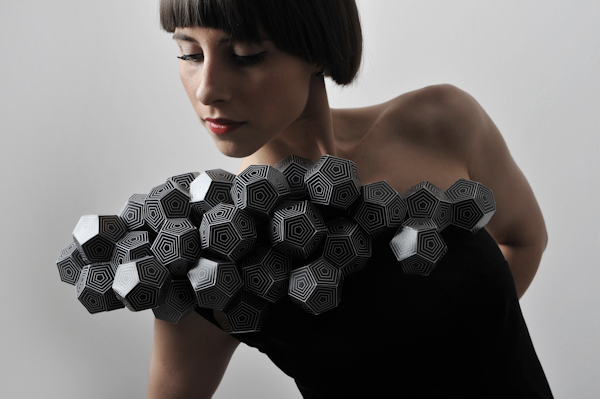 If you love geometry, you can let everyone know by wearing dodecahedra with elegance and style! 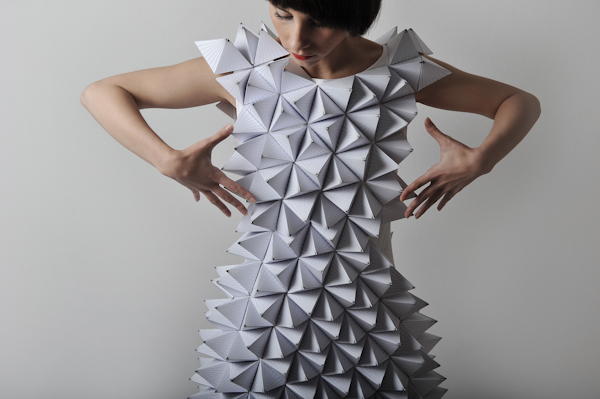 These dresses with sewn-on paper polyhedra embellishments were designed by Amila Hrustic. 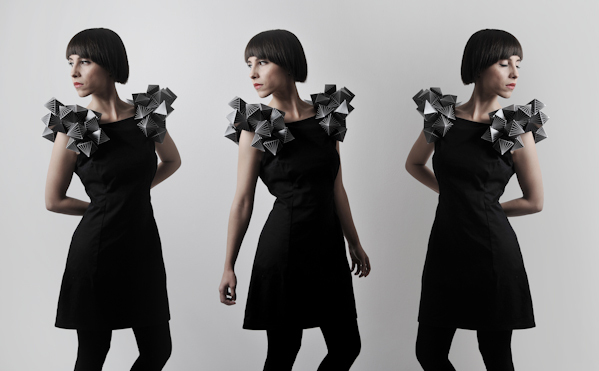 I’m not sure how one sits in a dress textured with tetrahedra, but it certainly gets points for fashion. Octahedral epaulettes suggest a high rank in the polyhedral hierarchy. 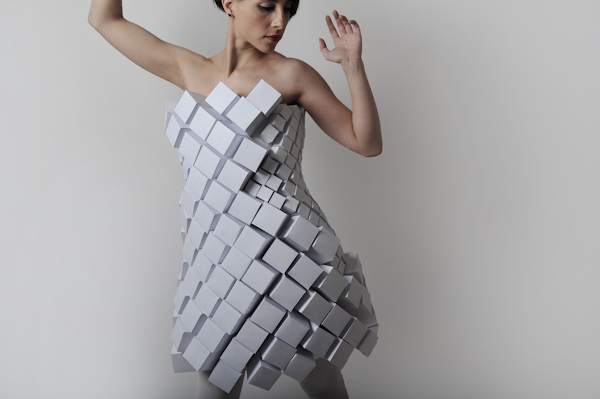 And what could be more classic than being clad in cubes? This article first appeared on Make: Online, November 8, 2010.